Although the big soda companies have had their share of losses on the “soda tax” front in recent times — including in Philadelphia, San Francisco, Seattle, Boulder and Oakland — they scored a major win on Wednesday (Oct. 11) in Illinois. The Cook County Board of Commissioners voted 15-2 to repeal a one-cent-per-ounce tax on sweetened beverages that had been in effect for just two months, since Aug. 2. The tax will be repealed as of Dec. 1 this year. The tax has generated legal actions, as well as heated controversy, in the Chicagoland region since the board voted to implement that tax last November. In Cook County’s case, the dominant argument by tax proponents was the need to raise revenue, while in other cities, advocates have succeeded in getting taxes passed by arguing that significant improvements in health and decreases in health care costs could be realized, in addition to the tax revenue generated. 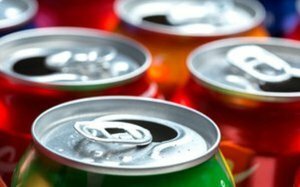 As with the other soda tax battles in a growing number of small and larger cities in the past few years, while the battle in Cook County “was ostensibly fought by state and country groups, it's well-acknowledged on both sides that local soda tax skirmishes are essentially proxy wars between the national soda industry and well-monied public health groups,” points out the Chicago Tribune. And as the Tribune and other media have stressed, the big question now is whether the Cook County tax scenario will prove to be a setback, or a sign that soda taxes’ momentum is going to fizzle going forward. In an opinion piece, the Chicago Sun-Times’s Lynn Sweet cites multiple instances of soda tax proposals failing to make progress in some states and municipalities, or, as in Santa Fe this past May, being voted down. “The results have been shifting as local municipalities, residents and businesses learn more about the devastating impact these taxes have on working families and businesses, and how they aren't good budget solutions,” David Goldenberg, a spokesman for the industry-funded Can the Tax Coalition, asserted to the Tribune. And Bloomberg and public health advocate groups, including the Center for Science in the Public Interest, have vowed to keep on fighting for the taxes. In short, it’s safe to say that the soda tax wars are far from over. 2 comments about "Big Soda Wins Big, As Chicago Kills Soda Tax". Steve Schildwachter from BrightStar Care, October 13, 2017 at 11:32 a.m. Your headline is misleading: it's not "big soda" that wins big, it's consumers. Crook County (that wasn't as typo), its municipalities and the state government continually ratchet up taxes at every level and the people finally said "enough". Illinois has one of the highest total tax burdens in the country (including income tax, sales tax, property tax, etc.) and yet somehow can't pay its bills. We'd be more likely to listen to arguments linking soda and obesity if this weren't so obviously a money grab. In any case, "Big Soda" -- whatever that is -- didn't win. It was Out-of-Control Government that lost. Dan Ciccone from rEvXP, October 13, 2017 at 1:38 p.m.
As a resident of Chicago, the constituents knew that this was a money grab, pure and simple. It wasn't a "sugar tax." Even diet and zero calorie drinks were taxed because they had artificial sweeteners. So even water that had a zero calorie sweetener in it was taxed. Every time the city wants to raise taxes it's "for the kids" and "safety" and we have seen zero improvements in any programs for 50+ years. Now they'll move onto taxing "beauty products" like makeup and nail polish and hair salon services as they proposed in the past. Sad.